Manage a small business or team? Then you already know how important it is to make the make the absolute most of every minute of the day. A wasted minute is a lost opportunity, and as a growing business, that’s not something that can be afforded. Finding great sales software and making CRM adoption as fast and effective as possible can be a challenge. However, if successful, you’ll truly be helping your team make more of their minutes, hours and days. For a CRM to be effective, it needs to be intuitive and easy for your business to adopt. Whether you’re a small business in manufacturing and wholesale distribution or any other industry, here are 5 tips and tricks to keep in mind in simplifying CRM adoption..
Like they say, walk before you run. Every business, whether you’re a retail store or a manufacturer, will have a unique business model and sales funnel. Thus, the first thing you should do in planning CRM adoption is to break down your sales workflow. During this process, you should look for opportunities to tighten your sales funnel. Who assigns new leads to the team? When should reps follow up with a customer? All of this should be clear in your workflow. When your team realizes how easy it is to move customers through the pipeline, the adoption process becomes far less intimidating. Additionally, your sales workflow should also identify opportunities to minimize sales inefficiencies by introducing automated CRM processes. For example, when you assign a lead to a sales rep, you should also be able to setup automated email notifications to alert your team right away. Integrating these processes in your sales workflow will help your team recognize the value of working within a CRM right away. What data points will indicate when your team is performing well? And what will indicate they have room for improvement? Whether you’re focusing on closed sales, projected revenue, or average sale size, clearly define your expectations and set them up in your CRM, so that your sales team knows what they’re working towards, and where they stand against the benchmark. Looking for better sales reporting? 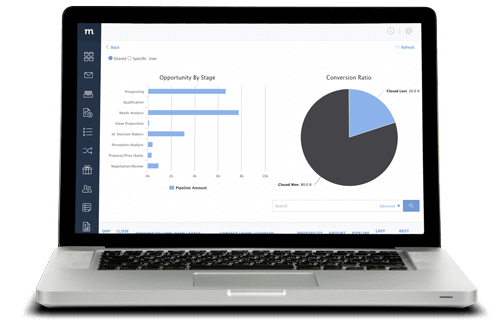 With Method:CRM, potential revenue snapshots are automatically set up and refreshed in real time. In addition to closed sales and projected revenue, your dashboard can be customized to provide your reps with more in-depth customer and transaction information. 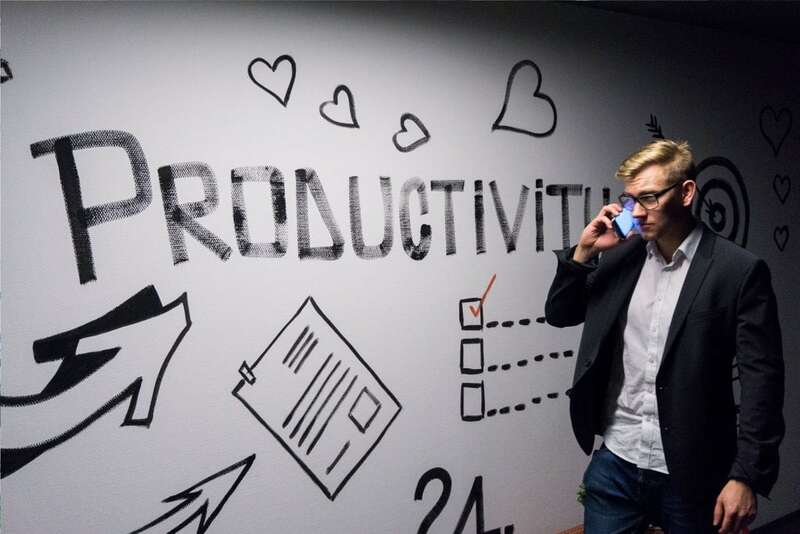 Whether you want to sync contacts from Outlook or send invoices that integrate with QuickBooks, your CRM needs to be able to connect with your most vital business tools. By identifying a CRM that seamlessly integrates with your other essential business platforms, your sales team can increase their efficiency, accessing more customer data from one central platform. In Method:CRM, your QuickBooks data will sync with customer information in real-time. This means that your sales team will have instant access to valuable customer data, and the ability to send any sales transaction directly within Method. When automatically syncing data to your CRM, it’s important to ensure you don’t have double entries in the system, to avoid spending twice the time and effort down the road. Keeping your contact list clean simplifies the syncing process, and will help your sales team work more efficiently as they’re working with the CRM and pulling or entering customer information. Besides, dirty data is a messy business that not only costs you valuable time but runs up costs quickly as well. If you manage customer data in QuickBooks, learn how to keep your numbers clean. One of the most important aspects of CRM adoption that small businesses often overlook is maximizing accessibility. If your sales reps need to be in the office and at their desks to access customer data, your plan is already not working as well as it needs to. Ensure you use a CRM that stores information in the cloud, thus empowering your team with mobile access. This means that your sales rep can pull information on the go and send important transactions, making it easier for them to close deals on the road. More and more small businesses are recognizing the value of managing their data on the cloud. If your business is considering the move, switching to a cloud-based CRM is the easiest way to go. CRM adoption shouldn’t be a daunting process and the end-goal of designing your implementation plan should always focus on empowering your sales team to close more deals. Clearly establish your sales workflow, and consider how you can use your CRM to automate important tasks and embrace integration to key tools, including QuickBooks and Outlook. By planning ahead and selecting a CRM that fits your business’ needs, you’ve already simplified the adoption process significantly. Ready to try a CRM that actually makes life easier for your team? Get started with a 30-day free trial of Method:CRM, and experience the difference that working with the leading QuickBooks CRM can have on your manufacturing or wholesale distribution business.